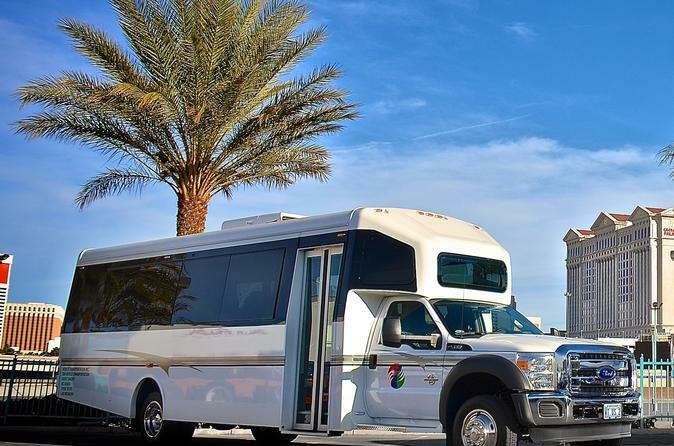 Pre-book your airport transfers and let yourself have fun while in Las Vegas! This private minibus transfer is available for up to 27 passengers. Please provide your airline and hotel information at the time of booking. You will be met by your professional driver who will assist your and your group to your comfortable passenger van. These private minibuses can accommodate up to 27 passengers and the price is inclusive of all taxes and fees. Simply provide your airline and hotel information and your driver will meet you and your party at the baggage claim. Price displayed is valid for 27 passengers. Due to system limitations, you may only book up to 15. Please select one (1) passenger and advise the total number of passengers in the Special Requirements field at the time of booking.